Exploring the world is now easier with the progression of the Geographic Information System (GIS). Uncovering your locality is just a click away with this technological progression. As a dynamic aspect of spatial science, GIS technology is vital for companies in collecting, structuring, understanding, analyzing, and applying geographical data for creatively unleashing the practical utility facet of this wearable technology. Featuring the advanced concepts of IoT, cloud computing, artificial intelligence, machine learning, SaaS, and big data, GIS solution companies apply location-based smart analytics to instantly and intuitively scrutinize the landscape, and rediscover the minutest details, in order to emerge as a unique crowdsourced platform. By leveraging drone technology, machine vision applications and a couple of open source software platforms, geographical information system investigates, scans, assimilates and processes the imagery, and other forms of data from the satellites, geospatial and autonomous data sourcing instruments. GIS technology’s exclusive 3D layering technique makes way for high-quality spatial data visualization, thereby helping the companies to provide state-of-the-art solutions. The three-dimensional mapping tools readily analyze the priority-based layered information. Mitigating risks and maximizing accuracy, this smart applied geographic science is known for its unparalleled forecasting, mapping, and landscape outlining capabilities. 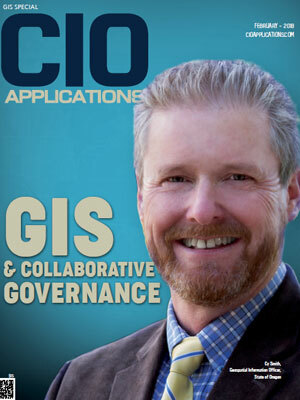 In order to help businesses and individuals finding the best of GIS solutions, CIO Applications presents the “Top 25 GIS Solution Providers 2018.” CIO Applications' editorial team has selected the top GIS solution providers whose solutions and services can help companies overcome their business challenges. This edition of the magazine brings to you the solution providers that offer cost-effective GIS solutions and a powerful ecosystem of geospatial knowledge, tools, and resources. Intetics is one of the top GIS technology solution providers. Focusing on developing and implementing innovative custom software this company also supports software testing, data processing, and quality analysis. Working on the principle of transforming internet technology, Intetics is catalyzed by its spirit to innovate. 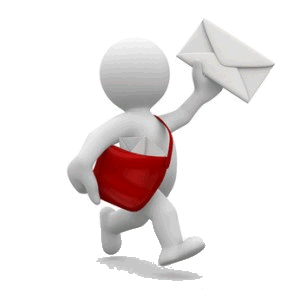 The platform’s reliable geographic software solutions cater to the real-time needs of the industries. By leveraging predictive analysis, responsive software engineering tools, Intetics serves both the emerging startups and the established big shot companies across the world. 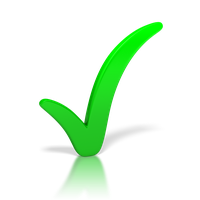 Prioritizing ethical standards, Intetics offers promising services. Emphasizing the client satisfaction, Intetics designs and provides result-driven insights to drive the enterprise success. The industrial leader, Nearmap is a specialized practical geospatial technology company, which has gained rich expertise in providing real-time aerial maps and technological insights. Combining cloud technology and advanced drone applications, Nearmap develops easily accessible services. By leveraging Computer Aided Design (CAD) instruments, this company delivers smart and innovative GIS tech applications. Optimizing the location analysis algorithms Nearmap’s software platform uses critical data analytics to draw useful conclusions from the imagery and other data modules. The unique content as a service platform serves both private businesses and government agencies with its deep geospatial insights. Reinventing Geospatial is a leading geographic information system company, which is recognized as a control, command, communications, and information (C3I) developer. Inventing and reinventing smart and purpose-centered geospatial tools this company serves the national security industry and others with practical and intelligent decision-making methods impacting the action insights followed by soldiers and other professionals. Introducing the concept of tech-driven critical thinking, the team of Reinventing Geospatial drives GIS innovations. Ensuring intelligent, reliable, accurate and mission-critical solutions the platform simulates customer-empowering insights to cater to the practical problems. The company has gained immense expertise in building strategic and agile GIS software applications. One of the renowned global geographic information system companies, 1spatial provides expert software solutions by leveraging applied concepts of geographic technology. Collecting and analyzing geospatial data this company transforms data management methods by employing specialized data modulators, which ensures completeness and consistency of data. Adding value to the mapping functions and drone or satellite data monitoring, 1spatial works closely with its clientele to design high-quality solutions. The company’s unique rules-based working principle supports cross-channel automation and ensures scalability of the complete data management lifecycle. Partnering with industry-leading technology enterprises, 1spatial has been developing intelligent geospatial and location-centered data solutions. Boundless is one of the leading developers of open-source GIS platforms. The immigration company’s scalable and reliable solutions conform to the software ecosystems of both mobile and web-based tools. The software suite developed by Boundless exchanges and connects geospatial data to facilitate the emergence of smart navigation tools. Providing informative insights into location-specific data management, Boundless aims at designing simple yet complete immigration system. The firm’s insightful idea of information as a service caters to the present navigation requirements. Powering the navigation industry with tech-driven geographic information-based immigration tools, Boundless envisions transforming the future of geospatial technology. Crosstek is a geographic location-based framework, which has its rich expertise in engineering critical navigation software systems. Delivering full-fledged services by leveraging applied sciences of geographic information systems this company serves multiple industries such as research boards, agriculture, defense, and others. Crosstek’s sophisticated custom navigation platforms enable geospatial enterprises to use the advanced concepts of GIS technology effectively. Exploring geotechnical aspect the platform serves customers and clients across the globe. The company is specialized in processing imagery data, supporting remote sensing, predictive analysis, and interfacing. GBG Loqate is a global GIS software company, which provides location-specific data solutions. By developing enriched geospatial data analytics, this company offers expert assistance in the field of geocoding and address verification. GBG Loqate solves critical real-time navigation and immigration challenges by encoding smart navigation algorithms. Along with offering global data and image processing tools, GBG Loqate’s integrated software suite acts as a geotechnical data specialist and provides end-to-end location and navigation intelligence. Focusing on precision and security, GBG Loqate aims at delivering best-in-quality customer experiences. Geo-comm is one of the top GIS technology providers. Specializing in developing, implementing and deploying public safety geographical information system solutions this company is known for its real-time mapping and routing algorithms. Along with navigation techniques, Geo-Comm also provides emergency assistance by leveraging critical concepts such as instant calling. Connecting the local telephonic lines to the call centers Geo-Comm’s responsive solutions cater to situations such as road accidents or injuries, demanding immediate attention. The company has been continually providing reliable and secured smart navigation solutions. GeoAdaptive is a worldwide consulting and strategic geographic technology company, which offers expert assistance in geospatial technologies. With smart, analytical planning, GeoAdaptive implements critical geospatial software ideas. GeoAdaptive formulates extensive fragmentation techniques to divide complex data into simpler forms. Integrating some of the advanced geotechnical concepts this company caters to the needs of various realms such as the economy, and environment. Empowering the society with multiple public-centered geospatial solutions, GeoAdaptive designs robust and intelligent strategies for its GIS clients. Following a sustainable approach, the software platform envisions reinventing the paradigm of location data analytics. Geobis International is a global geographic technology platform, which develops geo-marketing solutions. By leveraging cloud computing technology, this company developed Geobis MapSimplicity Analytics, intelligent geomarketing decision-making technologies with the help of geospatial data analytics. Following a comprehensive reporting method, Geobis excels at data forecasting and mapping operations. Emphasizing on delivering expert solutions in the field of geographic business intelligence, Geobis’ services feature minimum latency values. With a legacy of 20 years, Geobis has been sustainably offering futuristic geotechnical business empowering tools. The platform diligently manages universal geographic data and ensures secured cloud data interactions. Emerging as one of the leading geospatial IT solution providers, GeoDecisions focus on developing advanced geographical data and navigation services for a wide variety of clients belonging to industries such as logistics, public safety, insurance, municipality, transportation, etc. ever since its establishment in 1986, GeoDecisions has been designing dynamic and innovative location-based IT systems. Identifying the potential characteristics of the geographic information technology the company evolves itself to serve the ever-changing utility demands. GeoDecisions look forward to transforming the legacy of geospatial tech systems. Geospatial Corporation is a top-notch geographic information system integrator. Adding value to the geospatial data applications this company founds a platform for overcoming real-time business challenges. Geospatial Corporation started in the year 2007, with a vision of providing efficient location data collection and mapping solutions, by combining various technologies such as visual data processing, cloud computing, artificial intelligence and more. The company’s services feature 3-D maps and underground location imagery which make the platform, a perfect choice to avail accuracy, integrity, quality, security, authenticity, practicality, and accessibility. GISinc is GIS and location technology company which has its core ideology in creating insights through location technology. As a GIS service firm, the company work to answer the Where questions organizations are seeking the answers for by applying location-based services and solutions. From strategy, to design, to development the company can handle business application need development. Companies can discover, use, make, and share maps from any device, anywhere, anytime with an array of configurable apps available on its ArcGIS platform. The company's certified GIS experts are some of the best in the industry. Mapbox is a leading location data platform for mobile and web applications providing insights toa dd location features such as maps, search, and navigation into any experience you create. Its solutions give the apps the power of location with APIs for maps, geocoding, turn-by-turn navigation, route optimization, interactive data visualization, custom map styles, and more. Mapbox’s powerful navigation SDKs and APIs enable companies to design a complete range of products from fully customized solutions to in-app navigation with smart defaults that they can integrate in minutes. The company team is made up of the brightest and most dedicated designers, software engineers, cartographers, and strategists in the world. Maptycs creates the most advanced Risk Analytics solution with dynamic reporting and mapping for Property and Business Interruption risk management. The company's novel approach to Nat-CAT risk mapping, gap analysis, claims monitoring and portfolio management make it one of the most performing solutions. It has also developed its own cloud-based Geographic Information System (GIS) and a broad set of proprietary algorithms to deliver increased performance while managing large datasets on mobile devices. Maptycs geocodes all locations and displays them on a map leveraging which users can quickly calculate projected losses during an event and proactively manage a crisis. Maptycs promises to enhance Risk Management Process by improving how users collect, control, and analyze all of their risk and insurance data through a user-friendly interface with advanced analytics and real-time reporting. Matellio is a software design and development firm that provides end-to-end development service for web and mobile development. The company also helps firms and governments analyze GIS data and create GIS powered applications that can assist with tasks ranging from data collection and data visualization to GIS data distribution. It offers expert services for GIS application development, an ever-growing trend these days. Its sophisticated GIS solutions technology will help you evaluate all company related trends and data efficiently in geographical representation, ensuring quick analysis with immediate resultant solutions. OSIsoft offers the PI System, an industry standard in enterprise infrastructure, for management of data and events. The PI System facilitates businesses to capture and leverage sensor-based data across the enterprise to improve efficiency, asset health, productivity, sustainability, quality, safety, and security. Beyond being just a data historian, the open infrastructure connects data, operations, and people to enable real-time operational intelligence and transform operations. The OSIsoft PI System is used in utilities, manufacturing, life sciences, data centers, energy, oil and gas, and process industries. The PI Integrator for Esri ArcGIS brings the company's maps to life by integrating visualization and geo-analytics with IoT data. Client companies gain new levels of understanding while reducing the number of applications needed for holistic visualization, analysis, and real-time situational awareness. PolicyMap delivers easy-to-use online mapping with data on demographics, real estate, health, jobs and more. Many organizations trust PolicyMap to find the right data for their research, business planning, site selection, market studies, grant applications and impact analysis. The most location data on the web are curated, cleaned, standardized, and always updated. The data comes from disparate sources and is standardized to allow for simple analysis across indicators. The company also create unique data, such as trends over time and indices that combine relevant indicators. Quantum Spatial is an independent geospatial data firm providing geographic insights to the government and corporate organizations that need to mitigate risk, plan for growth, better manage resources and advance scientific understanding. As a pioneer in advanced mapping technology, its end-to-end solutions and services deliver the industry’s highest data quality and accuracy leveraging the most comprehensive array of technologies for analyzing all types of data. From geology to hydrology, forestry, and civil engineering, clients use the company’s acquisition, processing, analytics and visualization potentials in a range of technical and scientific disciplines. Utilities, oil and gas, engineering and construction firms and the military and major government agencies, are QSI’s customers and it has multiple offices around the country. SEDC is a leader in the development of innovative utility software solutions. The Engineering arm of SEDC—Futura Systems—provides enterprise GIS solutions to hundreds of electric, water, and gas distribution utilities across the world. The company excels at employing the ArcGIS foundation to develop mapping, field inspection, staking, and outage management tools that provide robust, user-friendly functionality. The Futura suite of applications seamlessly extends the level of collaboration between GIS and UPN through CatalystIQ, a powerful data analytics platform that combines data from all systems of record, empowering operations teams and management to make better-informed decisions that will improve overall service to the customers. With over ninety years of expertise, Sidwell is a market leading geospatial solutions provider specialized in GIS products, services, and solutions to fulfill the needs of government and private industries. The company’s ArcGIS Online expertise and Esri Gold Partnership will enable organizations to easily publish and share their GIS data by taking full advantage of Esri’s ArcGIS Online (AGO) solution. Its Portico is tailored using Esri and GeoCortex technology to provide a potential, efficient website solution for the deployment of GIS that is supported on all major web browsers. Trimble is changing the way the world works by providing core technologies in positioning, modeling, connectivity and data analytics which enable customers to improve productivity, quality, safety, and sustainability. The company integrates a wide range of positioning technologies such as GPS, laser, optical and other technologies with application software, wireless communications to offer commercial solutions. Its integrated solutions allow clients to gather, manage and analyze complex information faster and easier, making them more productive, efficient and profitable. For over forty years, the company has created unique positioning products that help customers grow their business. Trimble's portfolio includes over 2,000 patents and serves as the basis for the broadest positioning offerings in the industry. Visual Intelligence an industry-leading software and sensor technology company that delivers a platform for the development of world-class metric 3D sensor solutions and information delivery workflows. Using the principals of computer vision and photogrammetry, patented technology turns an array of off-the-shelves cameras into a wide field image with accurate 3D measurement systems, and brings ultra-high definition capabilities to many industries for a wide variety of uses. The company's mission is to provide flexible and expandable software technology for sensor systems, enabling its customers to deliver high-quality geoimaging products. Voyager Search is a pioneering provider of Smart Spatial Search solutions, and its off-the-shelf cognitive search platform combines best-of-breed search and spatial technologies and makes developing an enterprise search engine easy. The company’s next generation smart spatial search Voyager Server leverages Machine learning, and artificial intelligence provides a quicker, more efficient search experience. One of its solutions Vose delivers a decentralized, highly scalable solution that has been designed from the ground up to meet the high-speed and high-volume search solutions that its customers rely on. Server Basic offers an easy-to-use, customizable search experience for users. Xoriant is a product engineering, software development and technology services firm leveraging its expertise in emerging technologies to deliver innovative solutions that accelerate digital transformation initiatives. Across all its technology focus areas – Product Engineering, DevOps, Cloud, Infrastructure & Security, Big Data & Analytics, Data Management & Governance, Digital, and IoT – every solution the company develops benefits from its product engineering pedigree. The company has taken great pride in the long-lasting, deep relationships it has with its clients. Xoriant claims that true flexibility and integrity and excellence in execution, even through the tough times, is why customers stay with it for the long haul.